Oval opening for double or single claw tie down hooks. 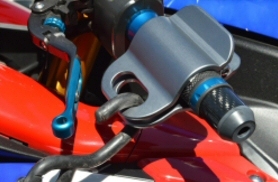 Unlike other trailering devices these can easily be used with handguards. Designed for 7/8ths grips. Not recommended for use with heated grips. 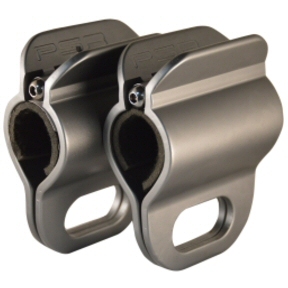 Machined from forged aluminum and have a heavy duty closure spring. Aprilia Logo Stickers - 4 pack High quality vinyl stickers measuring 5" x 2.5"